Briefly for those interested, the National Disaster Management Authority (link here) is chaired by the Prime Minister Dr Manmohan Singh, the Vice-Chairman is Gen NC Vij (retd) and the person dealing with landslides and the states of W. Bengal and Sikkim is Dr Mohan Kanda ,IAS (retd). By way of a brief introduction, I am the convener of SaveTheHills (STH), which is a group of people working towards raising awareness about landslides in Darjeeling district. We formed STH, after a near disaster situation last Sep when torrential rains triggered off massive landslides in the Darjeeling/ Sikkim Himalayas. 2. The Darjeeling Himalayas comprise some of the most landslide prone areas in the country and is also today, a densely populated area. I daresay, that landslides seem to be a hazard which receives the least attention in disaster management perhaps due to the fact that it affects lesser numbers and then, even those affected ie the people living in these hills are apathetic and accept the hazard as a part of life in the mountains. 3. With an annual rainfall of 3000mm, landslides may well be a part of life in the Darjeeling Himalayas and it may be practicably impossible to prevent ALL landslides. But as you would agree, a consistent, multi-pronged and aggressive attack against this hazard can prevent a large number of landslides, mitigate many others and also delay/decrease erosion in these mountains to a significant degree. Sadly, such a holistic approach towards landslide prevention (involving awareness programs, short to long term landslide prevention measures, such as afforestation, correction of drainage problems etc) has never been undertaken in these hills and is definitely the need of the hour. 4. This year we have been lucky thus far; as rainfall has been less than the monthly average both in July and August and except for some landslides in the month of June we have remained virtually unscathed. But this should not lull us into a false sense of security. In the NDMA meeting held in Shillong on the 10-11Jun2008, it was clearly told that we should expect an increase in rainfall to the tune of 20-30% in the northeast, in the years ahead, while at the same time the number of rainy days would decrease, causing more intense rainfall. So rather than remain inert during periods of less rain or in the ensuing winter months, it is now that we must work overtime to buttress up our defenses against landslides in the future. 5. In this regard, may I bring to your notice that “the paradigm shift” to prevention, mitigation and preparedness is yet to see the light of day at the district and subdivision level where disaster management is still limited ONLY to “relief”. Despite STH shouting hoarse about landslide prevention for a year now, literally no preventive work or awareness programs have been done in the whole district. The sharp increase in the number of anthropogenic landslides have only added a new dimension to our problem, with landslides creeping into our densely populated urban areas . (sketches of landslide areas in Darjeeling, Kalimpong, Kurseong and Mirik towns are available at http://www.savethehills.blogspot.com). 6. With the monsoons almost over, it is most important that we take full advantage of the dry period (Oct08-June09) ahead and initiate landslide prevention measures immediately so as to be better prepared for the rains in 2009 and later. Alarm bells have already been sounded by several prominent scientists about the dire state of the hills, and enough valuable time and money have been frittered away in workshops, meetings and surveys - the recommendations of which have seldom been implemented. 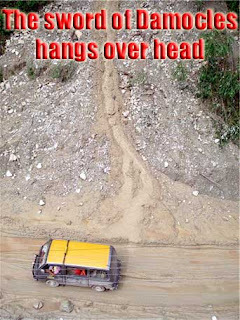 Therefore, it is high time that a sustained landslide prevention program together with an intense awareness campaign be commenced at the grass root level (ie district and sub-divisional level) in Darjeeling district without further delay, if we are to avoid a major landslide disaster in the hills in the foreseeable future. 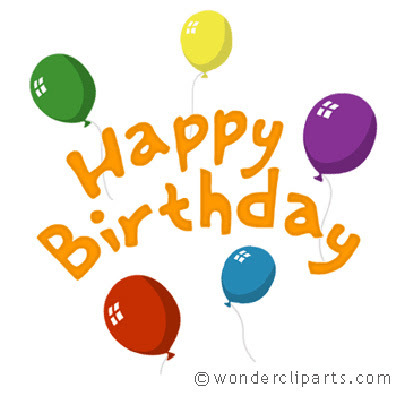 STH is one year old today, 15Sep2008. looking forward, I must tell you we have much to do before anything even remotely connected with landslide prevention starts happening in our hills. But we must persist - we are where we are because of our own lack of awareness, apathy and disinterest for decades so to expect things to change in a year or even in a decade would be foolish. In the next year, STH will hopefully be a registered body and that should give us resources to work more effectively in this field - and light up an area which has been in the dark for too long. My sincere thanks to all those who helped in different ways or made meaningful contributions in the past year; I look forward more interaction with all of you next year and in the years ahead. While perambulating the web in search of articles on our landslide issue, I came across this one - I did not read it when it appeared in 2003 but having read it now, I can't help wondering whatever happened after the article was published? KOLKATA: Geologists examining frequent landslides in West Bengal's Darjeeling hills fear that in about 75 years the vagaries of nature could destroy most of this popular summer getaway. The forecast, made by the Geological Survey of India (GSI) in a report, came as a rude blow to the state government, coming as it did after 24 people were killed by landslides in the region this month. "We have received the distressing GSI report on the future of Darjeeling hills. We are examining the options to limit the damage to the hills," state Relief Minister Hafiz Alam Sairani said. The report was presented to Chief Minister Buddhadeb Bhattacharya on Tuesday by Public Works Department (PWD) Minister Amar Chowdhury after his return from Darjeeling, some 700 km north of here. According to the report, vast stretches of the Darjeeling hills and its many hill resorts like Darjeeling town, Kurseong and Mirik may not survive beyond 75 years. The future of Kurseong and its adjoining areas, where several prominent public schools are located, seemed to be the most bleak. This was primarily because huge deposits of loose soil covering the rocky foundation were washed away with the rains, causing the landslides. Deforestation, the blocking of natural drainage systems and thoughtless construction had also weakened the soil of the hills. The GSI did not hold out much hope for the arterial Hill Cart Road, connecting Darjeeling and Kurseong with Siliguri town that has the nearest rail and air services. The road suffers multiple landslides every year and remains closed to traffic for about two months for repairs. It is closed once again, resulting in thousands of tourists, who chose not to take risky detours, being stranded in Darjeeling. The GSI said a more stable road could be built – if the road is re-laid on the rocky foundation after 25 metres of loose soil on which it stands is dug up. The state has asked the centre for Rs 60 million to repair the road. Media coverage : Bringing our story to the world. firstly on this blog, then to a varied lot of people amongst whom are scientists, students, NGOs, government officials and then just ordinary people who are interested in our plight. Last but not least I have been writing to the print media and many papers have carried the story of a hazard which has remained unknown and ignored for too long. 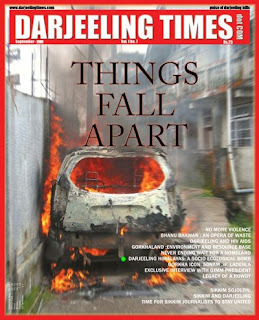 Recently the above issue of Darjeelingtimes.com (www.darjeelingtimes.com) carried the story in print (green dot). Unfortunately I have not been able to locate the online version of the story on the website. The recent floods in Bihar were a result of excessive rain ie it because it rained a full 500% more than the monthly average rain (source CNN). Imagine that!!! RANGPO: Around 130 families of Lower Jitlang and Majhua villages along the NH 31 A at Rangpo are living under fear ever since the monsoons started this year. The two areas have been already left vulnerable due to slides that occurred 3 years back. The commencement of monsoons has seen further degradation of the slushy areas in the area triggering panic among the residents. Lower Jitlang is situated on the upper side of the slides where around 50 families are staying. The lower part of the slides falls near NH 31 A at Majhua village with around 80 families. Both the areas have come under danger zone, the residents say. We are not sure what will happen to us and our houses in the next heavy rainfall, they say with concern. A few days ago, a big boulder slide down into a house in this area. Fortunately, no one was injured but the house was damaged. A local Prem Basnett said that they have submitted memorandums to the concerned department last year itself but no response has come so far. No departmental officers have come to visit these areas, he said. Maybe the department is waiting for heavy casualties, the locals said. They have demanded immediate response from the concerned department before calamity strikes. Article from "Sikkim Express - 02Sep2007"
Hridayadas Mohan is filled with awe and admiration whenever he sees those little “honeybee boxes” atop the hill that forms a backdrop to his house in the picturesque Munnar town in Idukki district. Mohan believes the tiny structures, covered by hoods for protection against the sun and the rain, offer a good chance to the 3,000-odd residents of St Antony’s Colony against Nature’s fury. Landslides, a common feature in this most popular tourist spot in Kerala, are a bane for the people living in the area. The last human casualty may have occurred three years ago, but every year the district witnesses a number of landslips that bring down tonnes of mud and rocks, causing untold misery. “People here live in constant fear,” says Mohan, a community worker belonging to the predominantly Tamil-speaking population that moved there centuries ago to work in the tea plantations. An abandoned government college and a partially damaged temple bear testimony to this fact. The frequency with which landslides ravage Munnar brought Maneesha Ramesh and her colleagues at Amrita School of Engineering (ASE), near Quilon, to the sleepy town. Together with several European universities and firms, they are installing a network of wireless sensors that can pick up the slightest of rumblings in the earth in order to alert the people to an impending landslide in real time. “If we can pick up the right signals, we stand a good chance of informing the people about any threat days in advance,” says Maneesha. The scientists have deployed a number of wireless sensors in and around St Antony’s Colony. They are buried a couple of metres into the soil and can measure the moisture content, pressure, vibration of the earth and several other geological parameters. The data are subsequently relayed via a satellite to a simulation lab on the ASE campus some 200km away. The researchers are using the information to simulate the behaviour of the soil in Munnar. “We got tonnes of soil from Munnar for creating the facility as soil properties vary from place to place,” says A. Kailash, a team member. They are even inducing rainy conditions using artificial precipitation and subjecting the soil to vibration through mechanical means. “Landslide prediction is a complex science, but we expect to get a handle on it,” says Joshua Freeman, a US engineer who is on the ASE faculty and has been instrumental in setting up the simulation studies. Freeman thinks it is important to weed out false alarms as that would lead to people losing faith in the system. While the Amrita researchers are involved in the simulation studies and actual deployment of the sensor network, nine European institutions — including the University of Rome, the University Polytechnic of Catalonia in Spain and Ecole Polytechnique in Lausanne, Switzerland — are handling the design and fabrication of the sensors. The project, called Winsoc (Wireless Sensor Network with Self-Organisation Capabilities), seeks to mimic biological systems. “Living systems are intrinsically robust against cells dying or being damaged,” says Sergio Barbarossa of the University of Rome, the overall coordinator for the Winsoc project. “The behaviour of most organs is an interesting feature, resulting from the interactions of many cells, where no one cell is particularly robust or even aware of the whole behaviour.” A good example of this, he says, is the rhythm of the heart, which is controlled by the interaction of several thousand pacemaker cells, each of which can be seen as a pulse oscillator. Even though the individual oscillators are not particularly stable or reliable, the heart as a whole is extremely stable and can readily adapt to changing conditions. “This sets Winsoc apart from earlier similar attempts,” says Maneesha. While the sensor network is based on many individual censors, it acts as a single, coherent system. The network is self-organising because even if a few censors are damaged, the others take over their task. Sensors are bound to fail as they work under the harshest of conditions. With the European partners shipping in the wireless sensors soon, the Munnar landslide prediction project is all set to take off. For the time being, the Amrita researchers are using sensors procured from elsewhere. “We hope the network to be ready by the next rainy season,” says Maneesha. They also intend to install similar systems in other parts of the district. The consortium is planning to use the self-organising wireless network for other natural disasters as well. For instance, a team of researchers from the Centre for Science and Society in the Czech Republic is readying such a system for advance detection of forest fires. The ASE researchers may still be months away from successfully operating a landslide warning system, but the inhabitants of St Antony’s Colony are already confident of its usefulness. The people, who normally move to safer places whenever there is a heavy downpour, did not shift out of their homes this monsoon as they were hopeful of getting advance information about any devastating event.